If you're looking for a complete beginner's guide to raising Boer goats for profit, you've landed in the right place. In this guide we cover all the basics: where to buy your first goats, behavior, care, feeding, breeding, and more! Did you know that over the past decade, demand for goat meat in the United States has skyrocketed? In fact, since 2014, the price of goat meat has tripled! However, there are very few goat farms in the United States, so most of the American goat supply is imported from Australia, an export market that was worth $213 million in 2017. The growth in demand and increase in prices have sparked an interest in American farmers for growing goats for meat. Because over 50% of the goat meat consumed in America is imported from Australia and New Zealand, there is also an opportunity to capitalize on fresh, local goat meat rather than frozen imported meat. And those who want goat meat for religious purposes prefer to purchase live animals, so they can be slaughtered according to religious precepts; this is a market that cannot be met with meat imported from abroad. 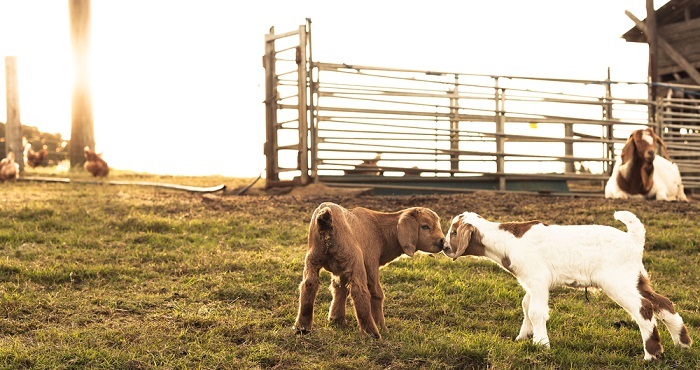 This guide will explore the opportunities for raising Boer goats for profit and show you how to start a profitable goat farm, taking advantage of this ever-increasing market. What are Boer Goats Used For? Boer goats were bred for body shape, high growth rate, and fertility. 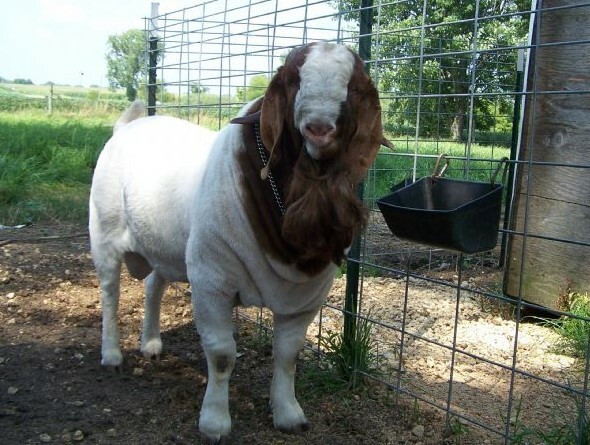 Boers have large frames and produce more muscle in less time than other goats. They spend more time grazing than other goats and can graze on land that can't support dairy goats. 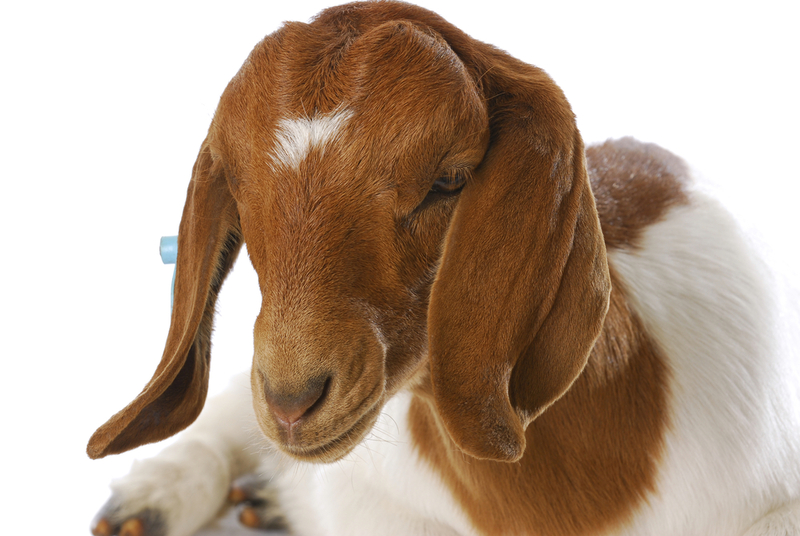 Boer goats are also mild tempered, easy to raise, and are affectionate. They are the ideal breed to farm for goat meat, because of their size, and because the ease of caring for Boer goats makes them a great choice for beginners. They traditionally have a white body with a reddish brown, convex-shaped head, and pendulous ears. They may or may not have a blaze. Both does and bucks have thick, dark horns that curl backward along the head. Boer goats are hardy in a variety of weather conditions and temperatures. In cold climates, they develop a thicker coat. Boer goats are among the largest goat breeds. Mature does weigh 190-230 pounds, while bucks can weigh 200-340 pounds. They average about 2.5 feet tall at the withers. Boer does reach sexual maturity at about 5 months of age. Unlike other goats, does are polyestrous, and can breed year-round. The first kid is typically a single birth, but after that, Boer does generally average 2 kids per birth. They produce twins ~50% of the time, and triplets 10-15% of the time. The doe will naturally come into heat when she is exposed to a buck. Does are typically bred for 3-kid crops every 2 years and can produce kids for 6 or more years. Boer kids will inherit the growth rate of the sire, making fast-growing Boer bucks far more valuable than average- or slow-growing ones. Under feedlot conditions, kids can gain more than .4 pounds per day. 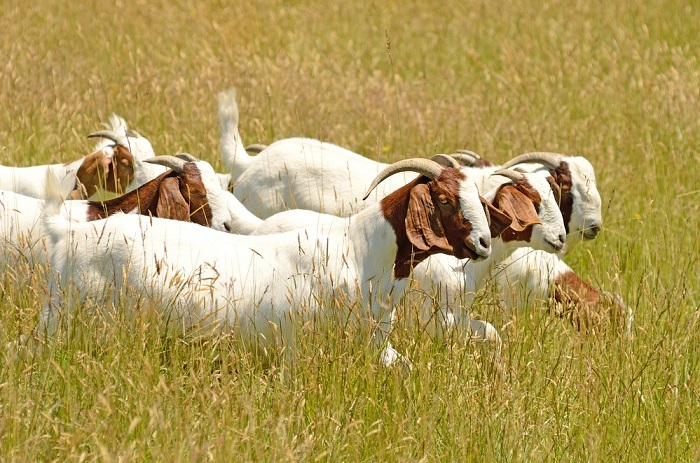 Boer goats have a naturally high resistance to disease, so bucks tend to live 8-12 years, and does live 12-20 years. Boer goats were developed to live on land too difficult for humans to clear, and, like most goats, they forage instead of grazing. This means they prefer brush, tree leaves, and tall weeds when in pasture. These eating habits make them an excellent pasture companion for other animals, because they avoid the grasses that cows and sheep naturally prefer and can pasture on land that has previously been grazed by other ruminants. Goats also prefer hills, while cattle prefer valleys, and goats naturally control weeds and invasive plant species that would otherwise be expensive or difficult to eradicate. 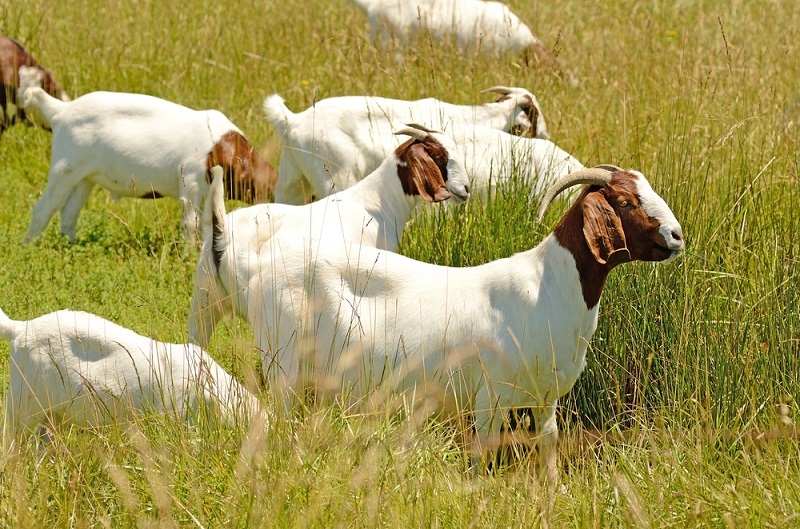 The best feed for Boer goats is high-quality pasture. Good pasture keeps goats healthier, and kids will grow faster. Left to themselves, goats will naturally consume as many as 25 different plant species in a day, if available, and this diversity meets many of their nutritional requirements. Their preference for pasture means that most Boer goats only require purchased feed during winter or during drought, reducing the cost of keeping them (we will discuss feeding and nutrition in further depth below). Boer goats are famous for being docile and friendly, making them easy to manage, and good show animals as well as pets. Boer goats were specifically bred to be easy-to-raise meat animals. Their penchant for eating weeds, leaves, and brush, and their rapid growth, large size, and double muscles make them ideal meat animals. But Boer goats have a variety of uses. Boer goat cross-breeds are highly desirable to improve the characteristics of other goats. Even on the first cross, the size is greatly increased. Boer goats are often used as terminal sires – animals whose offspring will be sold for meat, regardless of gender. Because Boer goats are so highly desirable, there are an increasing number of events where they can be shown. 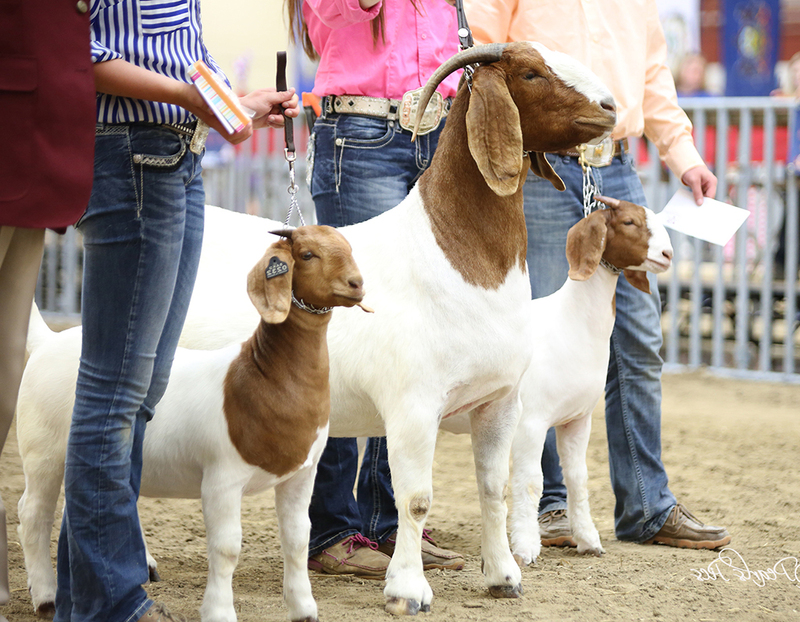 The American Boer Goat Association has a list of officially sanctioned shows and endorses events nationwide, and the meat goat division is the fastest growing segment of many 4H programs. Boer goats can not only survive but thrive on land that is unsuitable for grazing other animals, either due to dense brush or hilly terrain. They efficiently control blackberry, thistles, ragwort, and other weeds, and improve the quality of pasture for grazing animals. Many people keep goats specifically for this purpose. Boers are docile and friendly, and many people keep them simply as pets. While Boer does will give milk, they are not the preferred breed for this purpose. They don't produce the same volume of milk as dairy goat species, and their milk is lower in fat, making it not preferred. However, cross-breeds of Boers with dairy goats (particularly Boer-Nubian crosses) are very desirable because they retain the high quality of Boer meat with the high milk production of dairy breeds. As you can see, Boers are versatile goats with a range of uses, making them an asset in a variety of situations. 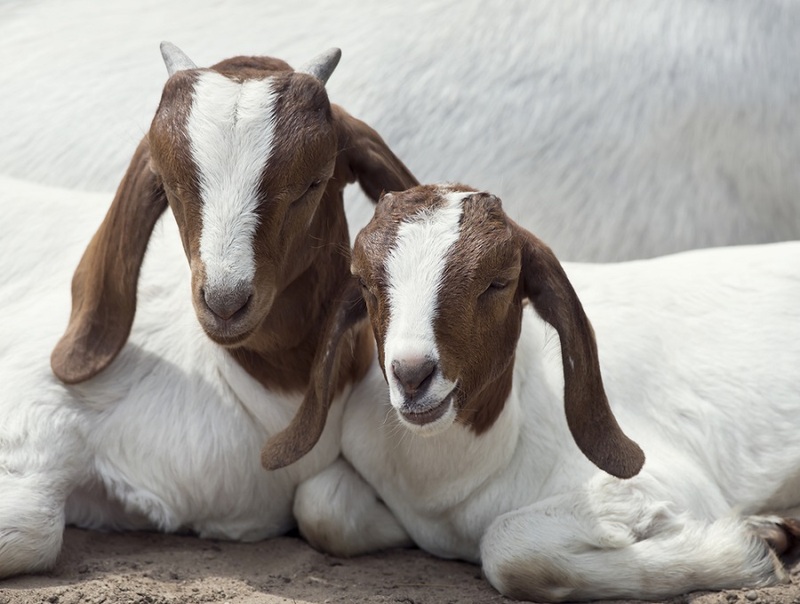 While goats in general are low-maintenance animals, and Boer goats are prized for being easy to care for, there are many things that your goats will need to be healthy, happy, and produce the highest quality meat. Goats are social animals, and naturally group in herds. A single goat will be unhappy and will make a lot of noise. If you have only one goat, keep them with other animals to meet their social needs. Goats need a minimum of 250 sq. ft./animal of space. Their natural feeding habits are to browse, moving from plant to plant, rather than graze. This browsing habit gives them the exercise they need, as well as meeting many of their nutritional needs. They will also naturally avoid eating any plant that has come in contact with goat feces or urine, which helps them avoid diseases. When goats are confined in too small a space, or a pasture without their preferred diversity of food, they will reluctantly graze on grass, and will also eat plants that have come in contact with urine or manure. Lack of space also reduces their ability to exercise and impacts the overall health of the animal. You will need fencing to both contain your goats, and, depending on your environment, exclude potential predators. While Boer goats aren't known for being high jumpers among goats, they will both jump and stand on their hind feet to reach the top of a fence. Kids will both climb and jump, and goats of all species will chew on fences and fencing. This habit of standing on, chewing on, and rubbing on fencing is exacerbated if your goats are confined in pens, rather than let to pasture. Either way, your fence design and materials are extremely important. A fence for Boer goats can be as low as 4 feet high, but you may need a higher fence if you have other, higher-jumping species or crossbreeds. The fence should be made of woven wire, not welded. Woven wire is durable enough to withstand rubbing, chewing, and pawing. Horizontal strands of barbed wire will not contain goats and may injure them. Your fencing should have 2x4 inch openings, and not larger. Boer goats will stick their heads through larger fence openings, and then their horns will catch and they will be stuck with their heads in the fence. Even if you remove their horns, smaller fence openings are better. Posts should be 8 feet apart, at most, and corner posts should be cemented in order to withstand standing and rubbing. Many goat owners add electric wiring to their goat fences. A strand at shoulder height (24-30 inches off the ground) prevents leaning and rubbing, and another at the top prevents standing on the fence. Boer goats need a sheltered space to escape the wind and wet. If you plan to keep them indoors for extended periods of time, for weeks during a cold winter, for example, they need at least 20 sq. foot/animal of space. 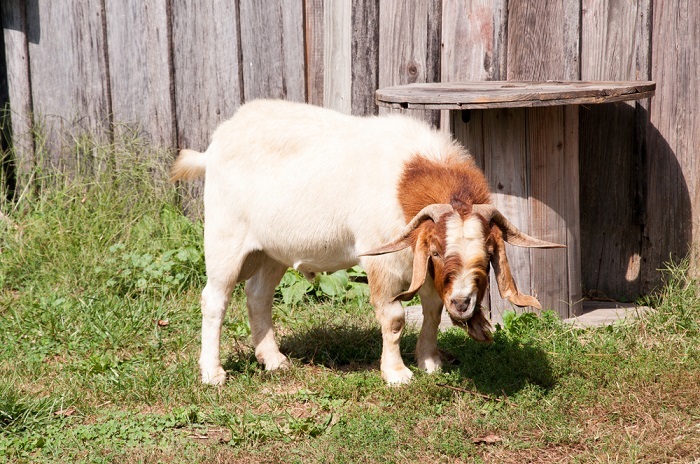 If your Boer goats will spend most of their time in pasture, and only come inside at night, then their space needs are reduced to about 10-12 sq. foot/animal. Boers are the largest and strongest of goat breeds, and during breeding season, a buck can be difficult to contain. A 250-pound Boer buck can easily break a 2x6 piece of lumber, or injure a person, without much effort. Goats will often somehow find a way to breed through shared fences, and Boer does are polyestrous, so they will go into heat simply through exposure to a male. For all these reasons, it is necessary to contain bucks separately, until you want them to breed, but can be a challenge to do so. To build a buck pen, here are a few things to keep in mind. If a willing doe is just on the other side of the fence, the buck will be highly motivated to overcome it. Creating a “buffer zone” of 20 or more feet, with does contained by a fence on their side, discourages bucks from attacking their side of a fence. Fence posts should be no more than six feet apart, and it's best to use pipe instead of wood. Adding strands of electric fencing is strongly recommended. If your buck is to be penned for a long time, have two bucks, or add a wether, to keep each other company, and make the enclosure at large enough for two goats. Provide shelter for an isolated buck as you would for the rest of the herd. Allowing goats to pasture is good for the goats and good for the landscape, and also reduces feed cost. Remember that goats don't prefer grass, and if they see desirable food outside of their pasture enclosure, they will work harder to overcome your fencing. Do not put their shelter too close to a fence, because they are prone to climbing onto structures and then jumping over a fence. If your pasture is too small for your goat herd, and they have eaten most of the plants, or eaten down to ground level. 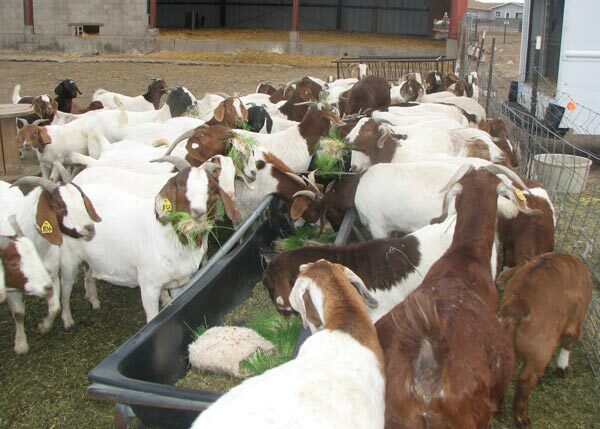 Pasture is also the preferred food for Boer goats because it reduces the cost of raising meat goats and increases the profitability of goat farming. Depending on the composition of your soil, and diversity of plant species in your pasture, crucial minerals may be lacking. Free-feeding supplemental minerals is usually sufficient, as goats will naturally select the right amounts of minerals for their needs. Mineral supplements are expensive, but goats require only trace amounts of them. You can typically use the less expensive loose mineral supplements designed for cattle to satisfy the needs of your Boer goats. Do not use mineral supplements designed for sheep, because they lack sufficient copper for the needs of cattle and goats. During winter, or in the case of poor-quality pasture, goats will rely on hay as their primary source of nutrition. Goats need good, “horse quality” hay. Legume hays, particularly alfalfa and lespedeza, are higher in protein, vitamins, and minerals, and are preferred by goats. Goats do not need grain, and it is not a preferred food for them. You can also feed kitchen scraps to goats, which they will enjoy for variety. It is important that goat food and water be elevated. Goats naturally prefer to eat from the crowns of weeds and shrubs, and food that is kept off the ground is not exposed to contamination by manure. Feeders should be built and placed in a way that doesn't allow goats to jump, climb, or stand on the feeders. 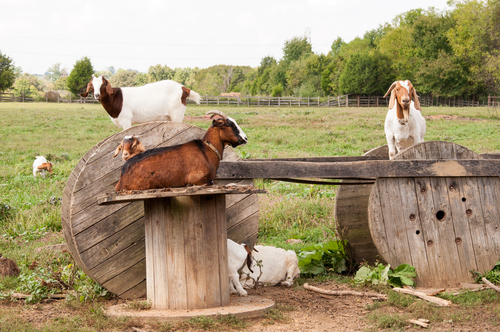 Goat feeders should be kept 24 inches off the ground, with a horizontal bar about 14 inches above the ground, for smaller goats to stand their front feet on when reaching for feed. This feeder design is called “flex feeders,” because they force younger goats to flex their hind muscles while eating. Goats need access to a continual supply of fresh water, particularly in seasons where their forage is low in moisture. The water must be clean, as goats will not drink contaminated water. Each goat requires an average 4-5 liters of water a day, and twice that amount when lactating. Boer goats are so large that they do not attract as many predators as smaller breeds of goats, but they are a concern nonetheless. Be attentive to the kind of wildlife in your area; coyotes and wolves will attack goats, as will bobcats and mountain lions. Kids are even more vulnerable and are a favorite prey of foxes and eagles. Ensuring that goats are protected at night, when predators are most active, will help to protect them, as will electric fencing. Many farmers recommend using livestock dogs to add additional protection for goats, particularly in wilder landscapes. Great Pyrenees dogs are the preferred guardian of goats, having been bred for that purpose for centuries. They are large enough to deter many predators, while also being agile enough to navigate rough terrain. These dogs are naturally nocturnal, when extra protection is required for the safety of your goats. If you are ready to start a Boer goat farm and raise Boer goats for meat, here are some things to keep in mind. Do you have ample, high-quality pasture? Can you rotate pastures to keep providing good nutrition for your goats? If not, you will need to spend more money on feed, and Boer goats are a large breed that requires a lot of food. If you plan to feed lot them, you will need to invest more in goat-formulated foods, and they will require more medical care to prevent parasites and illnesses. Do you have a shed, barn, or covered enclosure where goats can get out of the rain? Is it on elevated ground, to keep the floor dry? Can you build or create such a shelter? Can you enclose pens and pasture with goat-proof fencing? Many facilities that readily process cattle as meat are unable or unwilling to process goats. Research where and how you will sell your goat meat. It may be possible to work directly with a butcher or restaurant in a small-scale operation. Your method of marketing your meat will determine how large your operation can be, and how much profit you can make. Contact a local extension agent to get their recommendations for meat production and market opportunities. Research and identify agencies and organizations that may regulate or assist you. Your state Department of Agriculture may have regulations regarding identification, sale, or transport of goats. 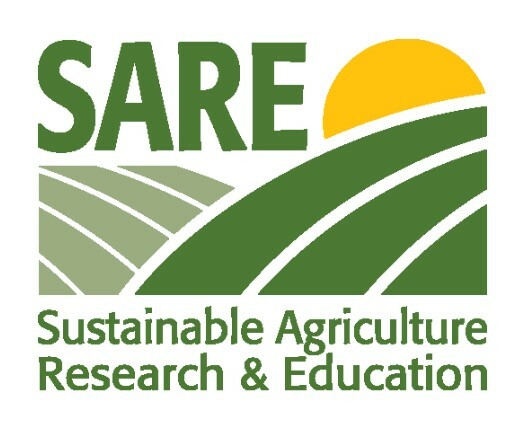 The USDA, Sustainable Agriculture Research and Education, and the American Boer Goat Association will all have relevant information and resources that will help you begin farming Boer goats. What are your skills? Have you successfully farmed other animals in the past? Are you able to administer injections of medication, assist in difficult births, trim hooves, and other basic animal husbandry skills? Do you have access to a local veterinarian who has experience with goats, and can identify signs of disease, distress, anemia, or poor nutrition? Is there a local university or college agriculture department where you can expand your knowledge? Farming Boer goats for profit is a business like any other. You will need a record-keeping system, files, and a business plan. Your business plan needs to include costs for equipment, fuel, and mileage to market, labor, inventory depreciation, loan balances, etc. To download this Word document, hover your mouse over the black bar, then click the arrow that’s pointing down. You can also print the document straight away by clicking on the little printer icon. Starting your goat farm should begin with a realistic assessment of your pasture and research into local breeders and the average cost for Boer goats in your area. Determine if you will have a buck of your own, or if there is a good one nearby that you can rent. Begin by building your fencing and enclosing your pasture with the appropriate fencing for Boer goats. Construct a shelter for the goats to use at night and in bad weather, situated several feet away from the fence, and build or buy a feeder. It is best to start a meat goat farm with a good-sized herd of yearling does, 10 or more head, and purchase a couple of (certified) pregnant does that are well away from their due date. You will need pens for those does to kid in. Once you have a good place for your herd to live, you are ready to go look at your first goats and bring them to their new home. The ideal size for a beginning small Boer goat herd is 25 does and 1 buck (unless you have a friendly neighbor with a good buck). It is best to get goats from a seller or breeder who you know well, so that you can know the history of the animal. Inspect your goats before you buy them, and, if possible, visit the farm or breeder and verify that they are living in clean and healthy conditions. Beware of breeders who don't let you see the living conditions of their goats, or only want to show you one or two penned animals and won't let you see the whole herd. Your new does should be 10-36 months old and try to have a couple experienced kidders in your new herd. Avoid older does that have never kidded, since they may be infertile. Has she been bred before, and was the breeding easy or difficult? Inquire if she has kidded before, and how many kids she has per birth. Was the birth easy, or was it difficult? Did she display good mothering instincts and bond with her kids? Did her kids grow well, and what did they weigh at weaning? If the doe is very young, try to get this same information about her mother instead. If the doe is older, ask these questions about her daughters as well. While the does may be cross-bred when you buy them, the bucks should not be. You risk having the kids take after the non-Boer grandparent and lose desirable characteristics. Furthermore, the qualities of your buck will influence your entire herd for generations to come and is an important investment in the future of your farm. All full-blooded Boer goats are registerable. Even a half-blood Boer is registerable if the sire was a full-blood. If a breeder can't or won't produce registration papers, that is cause for concern. If the buck is too young to be registered, ask for the registration for his parents. If you are raising Boers for meat, it may not be worth paying extra for prestigious bloodlines. If you are planning on becoming a breeder, bloodlines are less important. Again, if your Boer buck will be part of a meat farm, coloring is not too great a concern. He should have a broad chest, long loin, and deep muscle. An older, proven buck is a great way to ensure return on your investment. You can see some of his kids, review his records, and know what you are getting. Unfortunately, not only are these bucks more difficult to find and buy, but they are expensive, and can be large and intimidating to relocate. Many people prefer to start with a young buck, who is more manageable, and who can be tamed and trained to live on your farm. However, these bucks are unproven, and registration, pedigree, and health should be carefully checked. When breeding goats, remember that the doe chooses the number of kids, and the sire determines the gender. Buying proven animals gives you the knowledge and opportunity to shape the future of your herd. A planned breeding schedule is important for the health of your farm, and for its profitability. Does will naturally go into heat when exposed to a buck, and fertility naturally increases in early springtime. But your breeding schedule should also be planned for the health of your herd and the capacity of your farm. Goat meat goes into high demand around certain religious holidays (Easter, Christmas, Ramadan), and planning your breeding schedule to coincide with these demand peaks will increase your profits. The end of Ramadan is celebrated with a lavish feast, and it is traditional for every head of household to slaughter a ram, but goats are often substituted for this purpose. Consult religious calendars to anticipate and plan for these demand peaks. Goat meat is typically sold in 3 ways. The profit you can realize from a goat meat farm depends to a large degree on your path to market, which you should research during your planning phase. Goat meat farms are most profitable when located near cities and urban centers, due to the easy access to restaurants and chefs who are interested in goat meat for their menus, and due to the proximity of minority, ethnic, and religious groups that typically eat more goat meat than Europeans. If your goats are free-range and organic, the meat might be especially appealing to local food co-ops, butcher shops, and health-conscious consumers. Many goat meat farmers generate demand for their product by taking samples to restaurants, butchers, farmer’s, and organic markets, and explaining the health benefits of goat meat. If you live near a Hispanic or Caribbean community, there will probably already be a demand for goat meat. Boer goats are a highly desirable breed of goat, both directly for meet, and as a source for cross-breeds that retain the fast-growing, double-muscled characteristics of the Boer, while adding increased milk production from other breeds. There is a huge, and growing, demand for goat meat in America, creating many opportunities for farmers to profit from goat farming, which requires less effort and less investment than farming many other kinds of livestock. Many existing cattle and sheep farms are adding goats to their herd, finding that they create additional profit opportunities and increase the quality of pasture for their grazing animals, without significantly increasing overhead expenses. 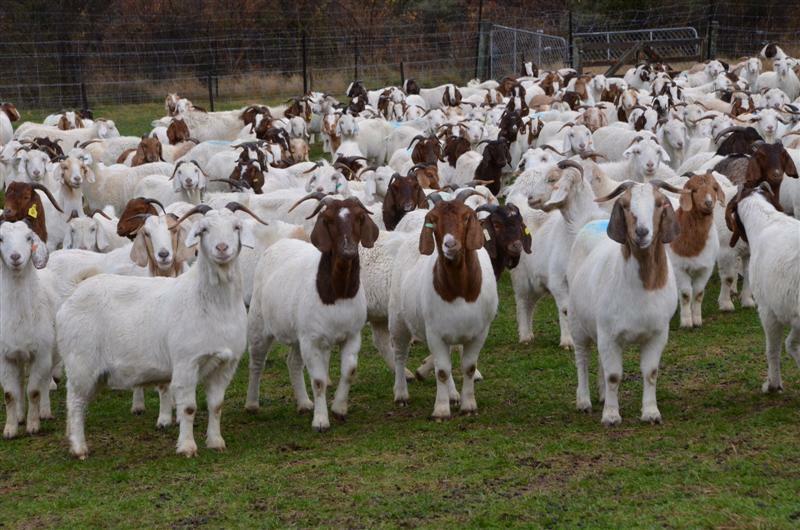 If you are inspired to start a Boer goat farm and start raising these low-maintenance, profitable animals, congratulations! You are about to embark on a fascinating journey and explore new potential in the evolving journey of American agriculture and American cuisine.